At a time when robots vacuum our floors and make love to our wives, isn't it a bit backwards to drag razor blades across your face, aided by foamy lubricant and water? Electric razors are great—here's the best. 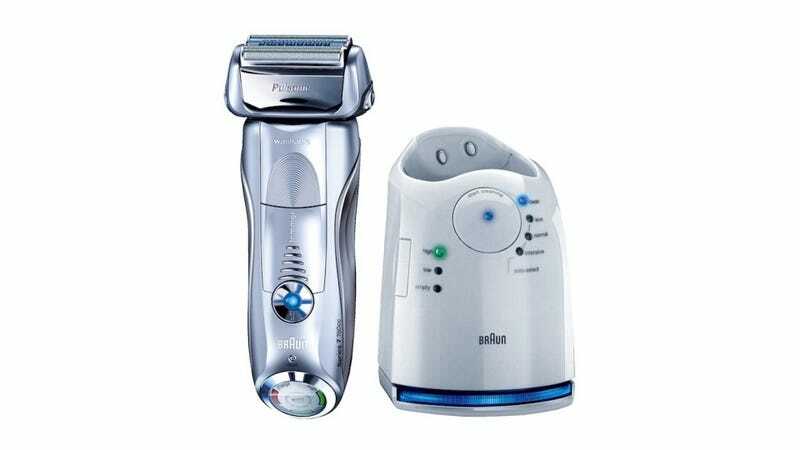 Braun's razors are also designed to last about 6 years before needing to be replaced, and with that in mind, $200 is not that much. The Braun Series 7 790cc also has the benefit of an advanced alcohol based cleaning, sanitizing system that charges the setup while it cleans and dries it when the cycle is done. Braun claims to have invented razor cleaning and also say that cleaning a razor in this way is 10x more hygienic than simply running a razor under the sink faucet (which you can also do). The alcohol also has the benefit of driving water away from the blades, extending sharpness and life. The cleaning solution that comes with the Braun is lemon scented and costs about $60 a year if you shave and clean daily.